Robotics Integration - Xyntek Inc.
Xyntek is an industry leading technology firm providing professional Real Time Systems solutions, consulting, design, and integration services in the areas of Information Management, Automation, and Compliance. Since 1986 our experienced and talented engineers have been providing turnkey real time software and hardware solutions incorporating the latest industry best-practices in technology, business process optimization, and management within the Life Sciences industry. 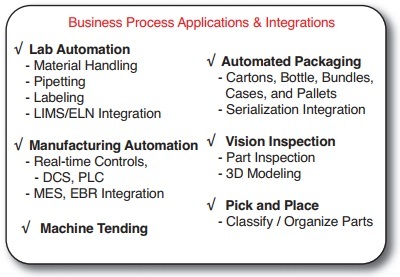 Xyntek provides Turnkey Robotic Solutions and Integrations for a variety of Industry specific applications. 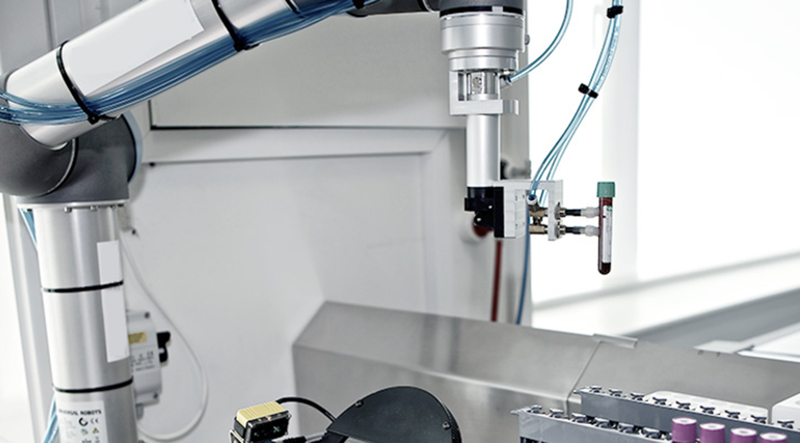 Whether streamlining your packaging operation, or to automate the R&D laboratory operations for precision and consistency, Xyntek's use of robotics have a multitude of solutions. As companies continue to look for ways to improve their efficiency, automation of current manual processes produces the best results. While traditional automation methods are often expensive, Xyntek's ability to create and design unique solutions using robots provides low cost but highly flexible modules manufacturers are looking to implement within their business operations. Xyntek's unique blend of integrated software and hardware-based solutions, along with our keen business process knowledge, understanding of the Life Sciences Industry and cGXP requirements makes us a valuable asset to companies looking for an edge in this dynamic environment of quickly evolving technology and rapid globalization, while complying with existing and new regulations. Xyntek's turn-key ability to integrate robotic solutions within your existing business operations and systems is what sets us apart. 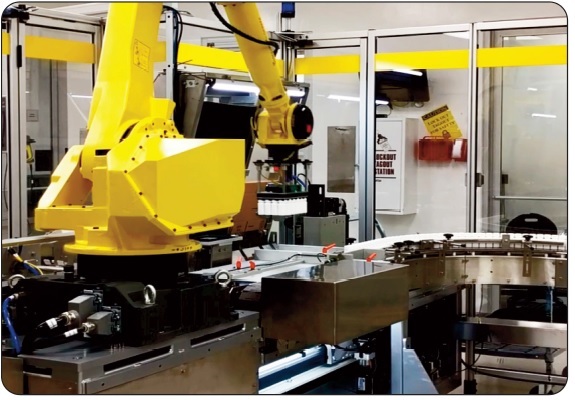 Our turnkey robotic systems can be used to replace and/or enhance repetitive operations while lowering cost and increasing quality. Collaborative Robots are a newer technology that allows an operator to work side by side with an operator without any guarding. The Collaborative Robot provides a lower price point than traditional robots and also has lower integration costs to the customer. This lower price point provides a faster return on investment and a quicker turn-around on the solution itself.